One of the most ancient thoroughfares in England, the Pilgrims’ Way has been a well-trodden walkway since Stone Age times – and now Botley Hill Farmhouse has been added as an official stop-off point. Best known as the historical route taken by the pilgrims from London and Winchester to the shrine of the martyred archbishop, Thomas Becket in Canterbury, the walkway was originally established even before then as a trade route. However, after the of the death of Thomas Becket in 1170, there was a renewed reason for travelling to Canterbury to seek spiritual assistance – and the thoroughfare has remained famous for that ever since. Today, much of the route still exists, having become part of the North Downs Way long-distance walking path, and it is a popular destination for walkers and those on a spiritual journey alike. 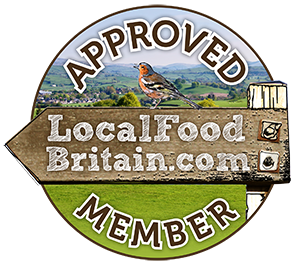 And now Botley Hill Farmhouse is being added to the route in a new guide, The Pilgrims’ Way: To Canterbury from Winchester and London, as an ideal place to stop off for a well-earned drink or a bite to eat. “Botley Hill Farmhouse is located right next to the Pilgrims’ Way, so it therefore made perfect sense to have the inn as an official stop-off point,” says the author of the guide, Lee Hatts. “The route follows the North Downs Way from outside Oxted, coming north up Pitchfont Lane to the main road. It then goes right, later passing Titsey Church, but at the Pitchfont Lane junction at the main road, walkers just need to turn left to reach Botley Hill Farmhouse. We shall now, in future guidebook editions and on the website, suggest stopping off at the inn for refreshment. 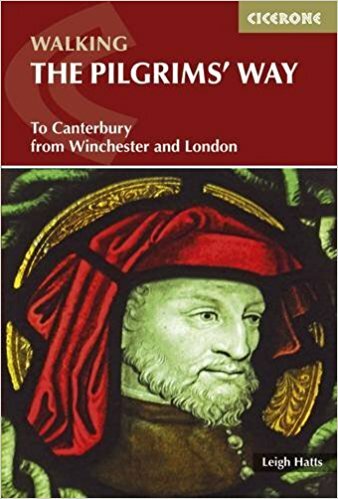 Instigated by Canterbury Cathedral to complement their own Pilgrims’ Way website (www.pilgrimswaycanterbury.org), the new guidebook is also recognised and sold by Winchester Cathedral. Following as much of the original Pilgrims’ Way as possible, it includes the route both from Winchester in Hampshire (136.5 miles) and London’s Southwark Cathedral (90 miles). Traversing a major chalk ridge through scenic countryside, taking in characterful towns and villages and historic churches, the route from Winchester is presented in 15 stages and can be comfortably completed in under a fortnight. And for those looking for somewhere for an overnight stay en route, we have just the thing! Opened earlier this year, Botley Hill’s gorgeous new shepherd huts, just down the road at Broomlands Farm near Oxted, could be the perfect solution! Tucked away in stunning countryside near the North Downs Way, on the borders of Surrey and Kent, these cosy havens also come complete with their own wood-burner inside and fire-pit outdoors – so also ideal for walkers braving the Pilgrims' Way during the winter. Read more about that here. Both Botley Hill and the shepherd’s huts are likely to be in hot demand over the coming months as interest in the Pilgrims' Way is built looking to 2020 – the St Thomas Becket 850 anniversary year. It is hoped that by then, the route will have become the English equivalent of the Santiago Camino in France and Spain, which also involves pilgrim passports.